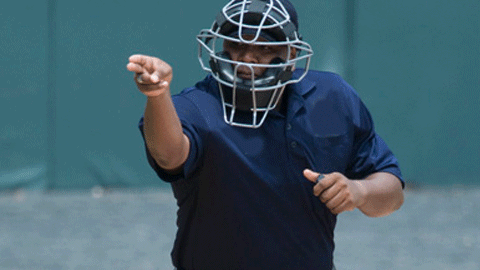 Thank you for expressing an interest in joining the Bergen County Umpires Association. Each year, the BCUA runs a cadet training program for individuals, 18 years of age or older wishing to become members of our organization and registered NJSIAA interscholastic baseball and/or softball umpires. In order to accomplish this, we have designed a program to train individuals with a comprehensive knowledge of the rules to prepare our cadets for the Final State Certification Examination(s), as well as the proper mechanics of umpiring. Once our cadets have successfully completed our program and received a passing grade on the certification examination(s), they will be entitled to membership in our organization and will be certified to officiate varsity level baseball and/or softball games within the State of New Jersey. PLEASE NOTE THAT PASSING THE STATE EXAMINATIONS DOES NOT GUARANTEE THAT YOU WILL OFFICIATE ANY VARSITY LEVEL GAMES. OUR ASSOCIATION DOES NOT ASSIGN GAMES. To contact the cadet chairperson, please click here.